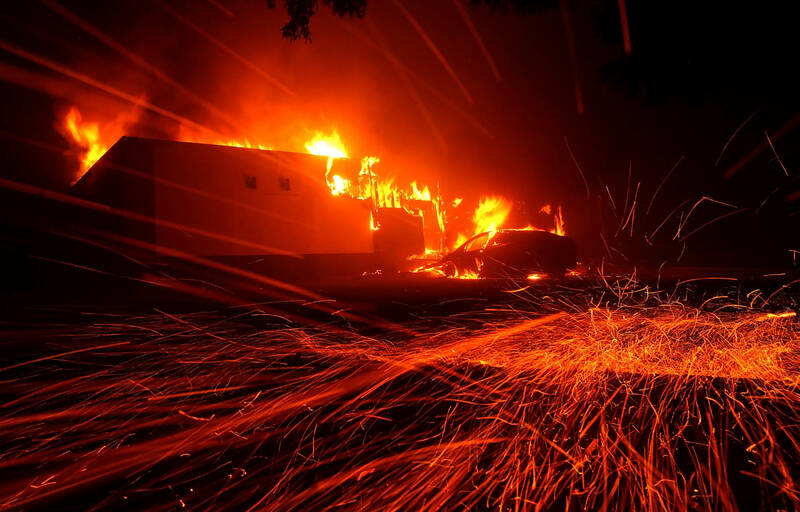 The Camp Fire in Butte County is now the most destructive and deadly blaze in California history, having killed at least 48 and destroyed more than thousands of homes and businesses. More than 52,000 have fled Paradise and surrounding communities. There are many stories about people escaping the blaze or staying behind to defend their homes. Here are a few. Calvin Daley, 66, decided to stay behind Thursday and defend his home outside Centerville as the flames approached. His wife had left for work in Oroville that morning. It became evident later that she would not be able to return home after learning of the fire in nearby Paradise. Daley said he has lived in the area since 1970, and said he’d seen six or seven fires hit the region since then. Daley said he had purchased a generator the week before, just in case Pacific Gas & Electric Co. cut power preemptively to the area. Keep up to date on evacuation orders, emergency shelter locations, missing persons and more. Daley said he lost a boat and one of his trucks in the blaze. 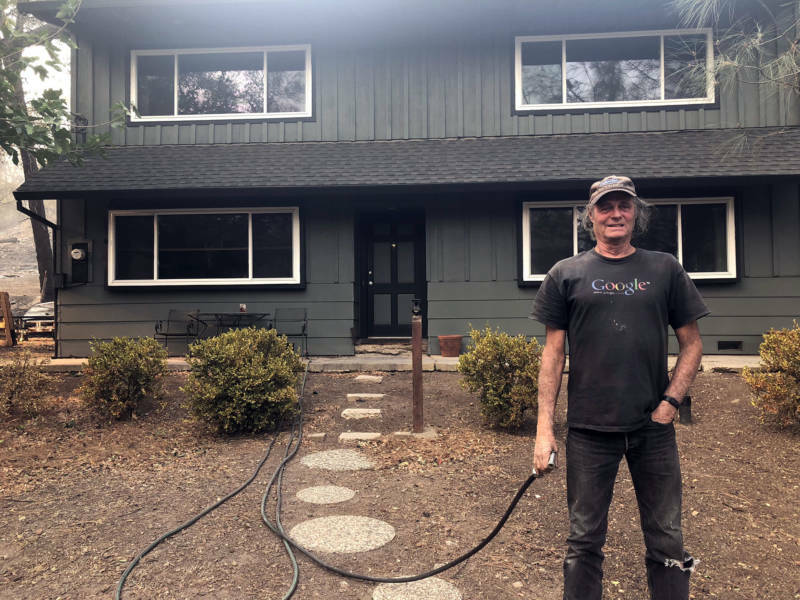 Daley said he had three hoses placed around the perimeter of his house, and he ran around putting out hot spots and embers that blew into his yard. His efforts paid off, as everything burned around him. He also thought during the firefight that perhaps he had taken on something he shouldn’t have. 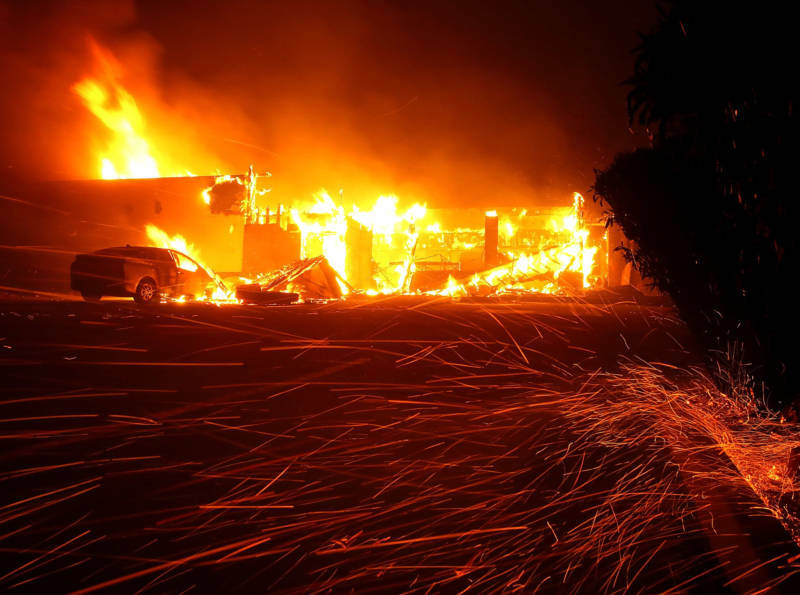 Teachers Sabine Coffee and Vicky Steindorf were at work at Paradise Elementary School when they received an evacuation notice around 8:30 a.m. on Thursday, about two hours after the deadly Camp Fire sparked roughly 15 miles away. "It was dark," Steindorf said. "It looked like 8 o'clock at night." The fire was already closing in, and all but four of the school's students had been picked up. Steindorf and Coffee weren’t sure if they should all pile into one car, or drive out separately with the students. Both Steindorf and Coffee got their teaching credentials at Chico State — the two met there, became friends and have both been teaching at Paradise since 1996. "I said, 'I'm not going without you. We're not separating,' " Steindorf said. "So we had all of us that were going ... pile into [Coffee's] car." They made their way down the canyon in her Toyota 4Runner. The road out was clogged with cars, and the teachers watched as houses burned and propane tanks exploded along the side of the road. 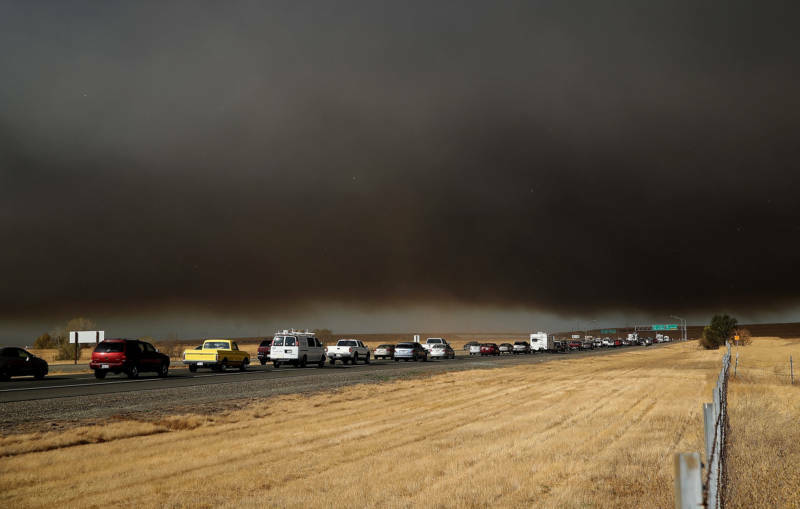 As the fire approached, some people abandoned their cars and fled on foot. Caroline Bolin was at her Section 8 apartment in Paradise when the Camp Fire broke out on Thursday. She says she didn't get any warnings about the fast-moving blaze, but she knew her town was in trouble. The smell of smoke, the sky tinted — she could tell the fire was all around her. "The only reason why I knew was because the sun was blood-red and so was the sky," she said. Bolin doesn't own a car. She lives on disability, and her apartment is subsidized. She does own two cats, however, and that made fleeing from the flames a little more complicated. Residents in the path of wildfire smoke can take certain precautionary measures to protect their lungs from smoke pollution. Read more about how to protect yourself. "I was scared half to death," she said. "I was like, 'How am I going to get out of here?' I don't have a car. I don't know anybody. But I was like, 'We got to get out of here, 'cause we are surrounded.' "
Bolin doesn't know many of her neighbors in Paradise, but her dad lives close by — 20 minutes, as she says, by foot. She gave him a call. No answer. "So I left a message," she said. "Dad! There's a fire. We gotta get out!" Bolin said she decided that her dad must have already fled from the area — or, she hoped he had. "If not, what can I do?" She called PG&E. They told her to call 911. She called 911. They told her to leave her cats and flee. She didn't. "I grabbed the cats," Bolin said. "I was gonna put one cat in my backpack on my back and one strapped to my bicycle, and I was gonna take my bicycle out." 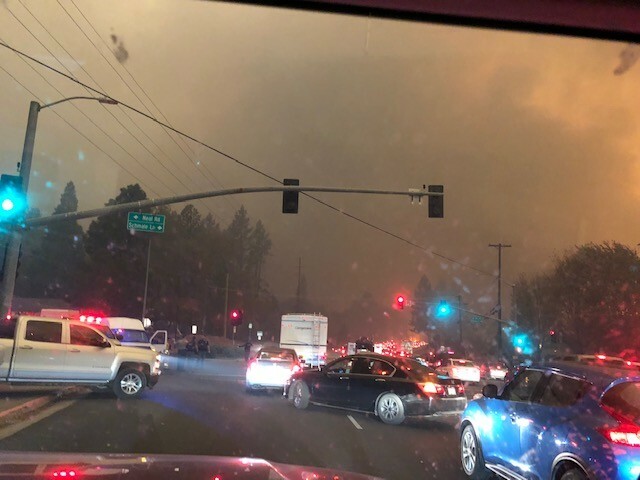 With a little levity in her voice outside the Butte County Fairgrounds evacuation center Thursday night, smoke filling the sky and ash falling from above, Bolin said she realized that would have been a really bad idea. "I managed to find a couple people [with a car], so we could get out," she said. "We all got out, but it was very difficult." There were flames on either side of the road as they drove away from Paradise, the quiet canyon town that Bolin and about 27,000 others called home. "There was lots of fire," she said. "To the right, I saw twisting flames." They made it out. Like countless other evacuees, Bolin ended up at an evacuation center. Dozens of beds lined up along on a gym floor. Cases of granola bars, water and Gatorade lined the walls. Fluorescent lights overhead. She would have to call the place home for the night, maybe longer. At the fairgrounds, she was able to get in touch with her dad. He was safe, staying at a hotel in Oroville, about 20 miles away. As for her cats, they made it, too. Bolin said the people she fled with were kind enough to let her cats stay in their car for the night, where it was warmer. But aside from the pets, the clothes on her back and a couple of credit cards, Bolin wasn't able to take anything else. "I left everything else behind," she said. "My mother's antiques, the rocking chair, all that. Everything I've tried to save and struggle for, for the last 20 years, is probably gone now." The thought of losing it all is terrifying for Bolin. Her apartment's reduced rate helps. But she's living on disability, and it's already tough to afford her place as it is. "I don't know what kind of home we're gonna have," she said. "And what can we afford? I might be out on the street with two cats. Oh my God." Sandra Peltola woke up at her home in Magalia around 7:45 a.m. on Thursday. She looked outside, and the sky was dark. "I realized that the fire was close," she said. "It was close enough to make me get up and pack up." Peltola went on her computer to figure out what was happening. "I looked at the wind, the direction of the wind, where the fire started, and I knew we were in for it." She and her son, Chris, 23, started packing up. They've got two cars, so they put everything they could in them — their pets, some clothes, a "fire box" that they'd preemptively filled with essentials and family heirlooms. They got out about 8:45 a.m.
"We tried to go south on Skyway [the main commercial corridor in the area], and we were engulfed in flames — both sides of the road," she said. "That scared me to death, my knees started shaking." "It was on fire," Chris said. "It spread fast." So they turned the car around and headed in the other direction. That ended up being a good move. Peltola said she wanted to stop and help some of their other family members who live in the area flee, but they didn't have time. The fire was just too close. "We texted everybody," she said. "We said, 'Fire — get out, go north, don't go south.' "
But as they drove — Sandra in one car, Chris in the other — his car ran out of gas. They didn't know what to do. A good chunk of their belongings were in the second car. They sat in a parking lot in Stirling City for a few hours trying to figure out what was next. They listened to AM radio. They heard the sheriff saying how bad it was and knew they couldn't stay for long. The Peltolas got into one car and kept driving. But traffic was bumper to bumper. Everyone was trying to flee. Some people even abandoned their vehicles on the side of the road and fled by foot. "It took us, believe it or not, from that time that I got up to the time we pulled into Chico, 11 hours," Peltola said. "The traffic was going about 2 miles an hour." Read another story about folks fleeing the Camp Fire and surviving by taking refuge in a Rite Aid.